Niykee Heaton recruits Migos for the remix to "Bad Intentions." Niykee Heaton has gone from Youtube sensation to recording artist over the past couple years, growing a monster fanbase strongly based off her Instagram thirst trap alone. Back in 2014, she broke out onto the scene with the release of her debut EP called Bad Intentions, which saw its title track get majority of the shine. 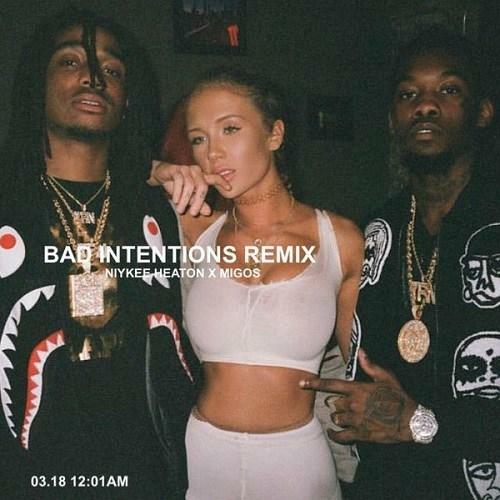 Today, she decides to revisit that very record and give it the remix treatment with some help from ATL trio Migos. Coming off her new project The Bedroom Tour Playlist, listen as the ATL trio show off their staple double time rhyme scheme over the smooth R&B ballad. Thoughts?